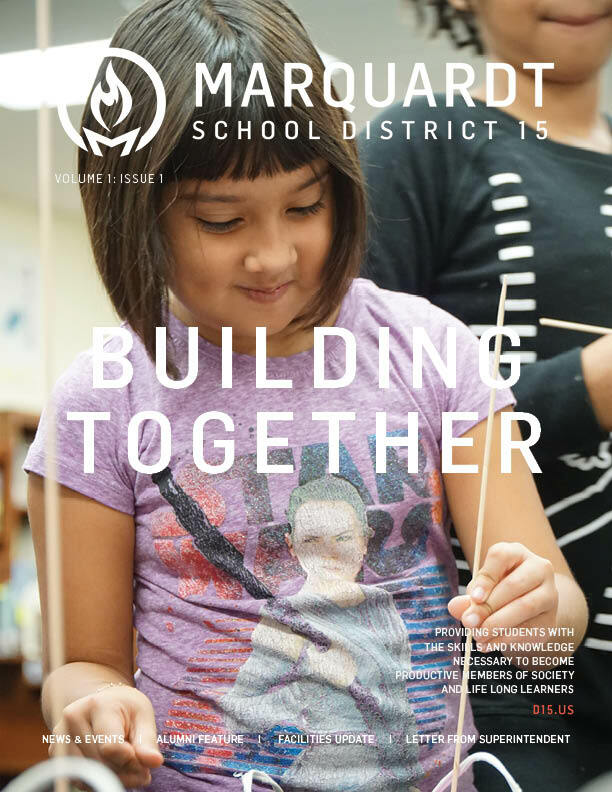 The Department of Communications develops and implements strategic external and internal communications for Marquardt School District 15. The Department's mission is to serve schools, students, parents, teachers, and community members by delivering of clear, timely, and accurate information about the District's priorities, successes and challenges. These partnerships are strengthened with communication tools that regularly connect the District to its stakeholders. By continuously strengthening communication channels between the staff, students, parents, and community members, the Department of Communications helps support the District mission to provide students with the skills and knowledge necessary to become productive members of society and life long learners. The purpose of our community magazine is to share the mission, accomplishments, and needs of our school system to the community. 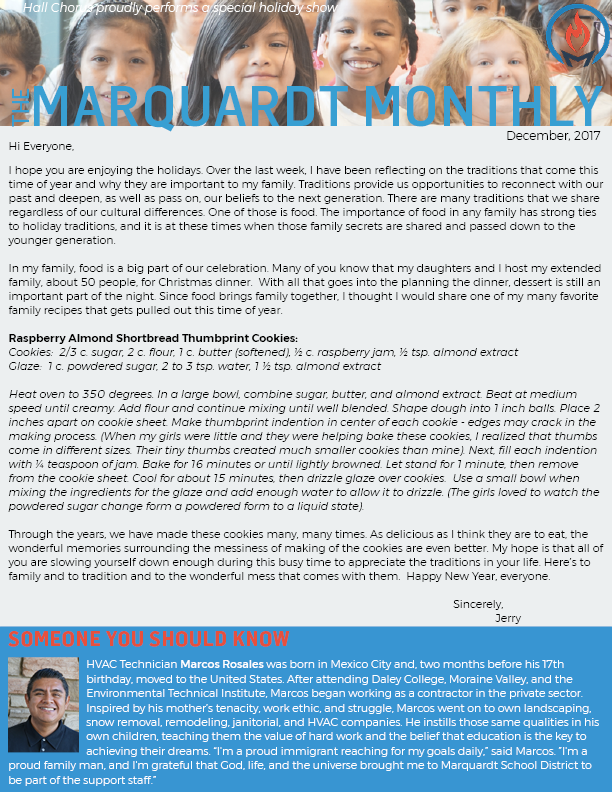 The purpose of our internal e-newsletter is to communicate important District news, events, and updates, both professional and personal with our staff. The purpose of the District's Facebook, Twitter, and Instagram page is to communicate more frequently with parents and to plug into the dynamic, real-time world of social media. The purpose of the District 15 website is to articulate District's mission and vision, to share resources, and to connect and communicate with stakeholders.